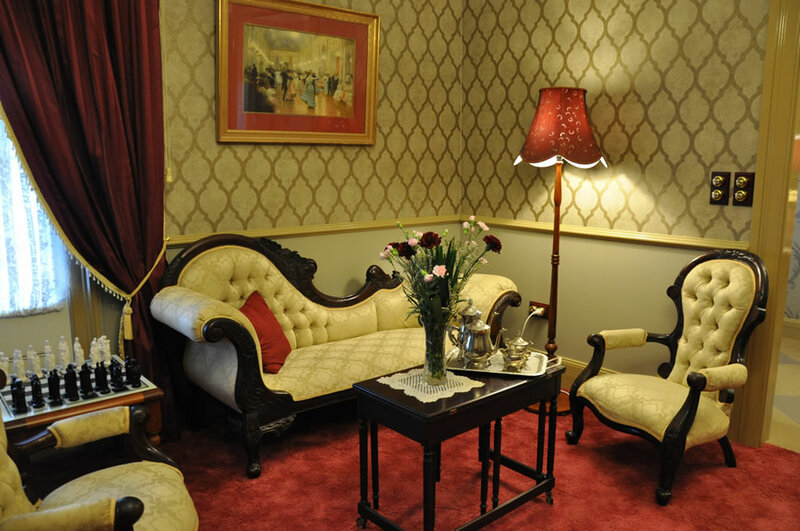 Our Drawing Room is for the exclusive domain of our guests and is situated just across the hall from the guest suites. while it is naturally appealing during the colder days in front of the fire place it is an equally delightful room at other times of the year when we have our air conditioning running for your comfort. 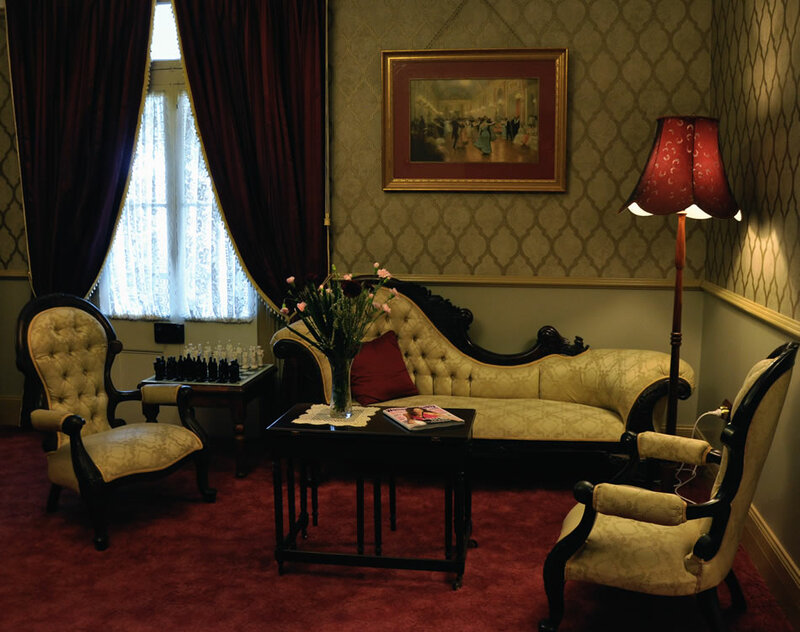 Featuring the finest silk curtaining, wallpaper especially sourced from the UK, an antique chess set, a modern old world chandelier, and a choice of plump, comfortable lounges in which to snuggle up. 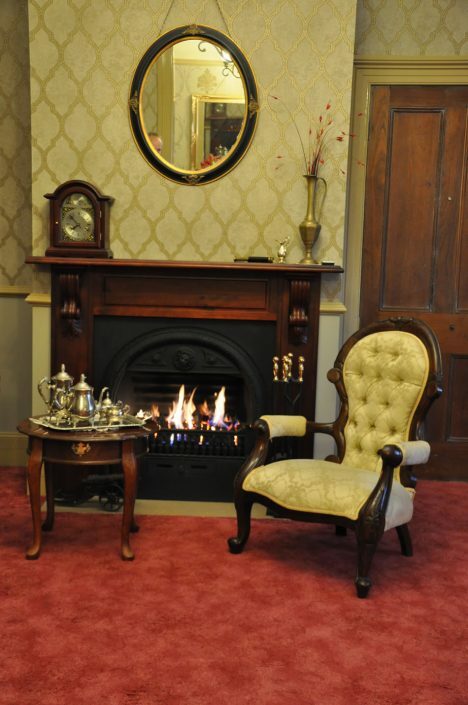 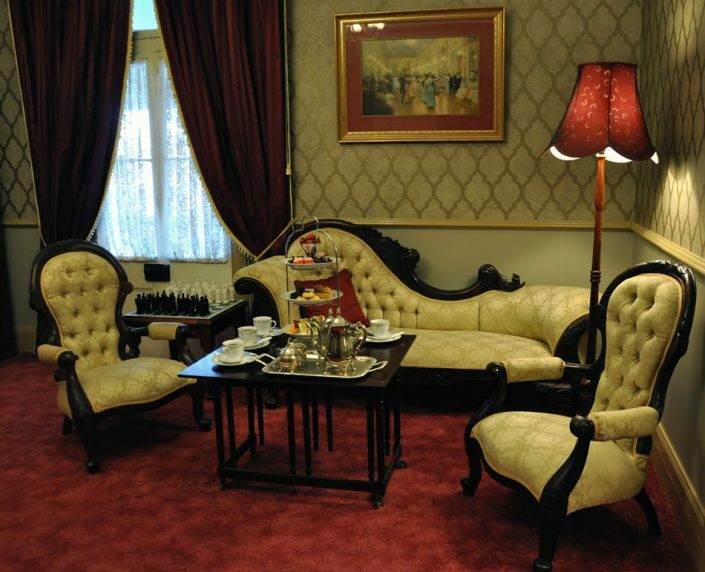 The drawing room resembles an exclusive English Gentleman’s Coffee Club without the associated rigours of formality but enhanced with the aroma of freshly brewed tea and coffee.. 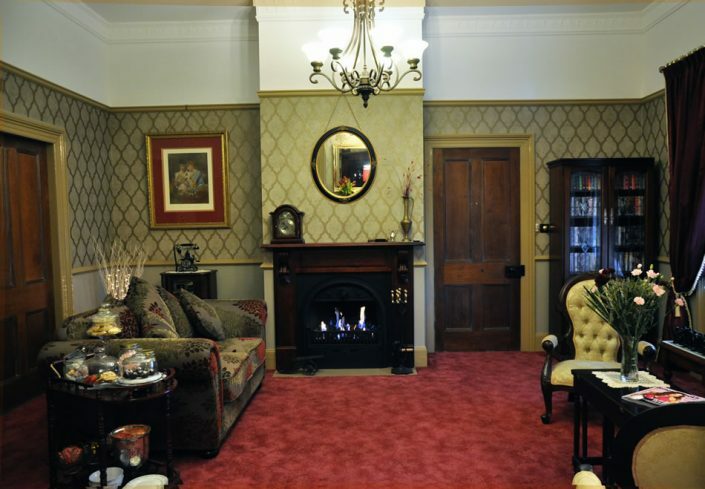 Indeed our guests are often drawn here to read that novel they have had since last Christmas, browse though some of our many brochures to develop an itinerary for the following day, catch up on some dreaded paper-work, listen to the in house piped music, or enjoy one of the many flavours of tea or coffee from our self service beverage bar.